Russia. Primorsky Krai. 15 October 2015. 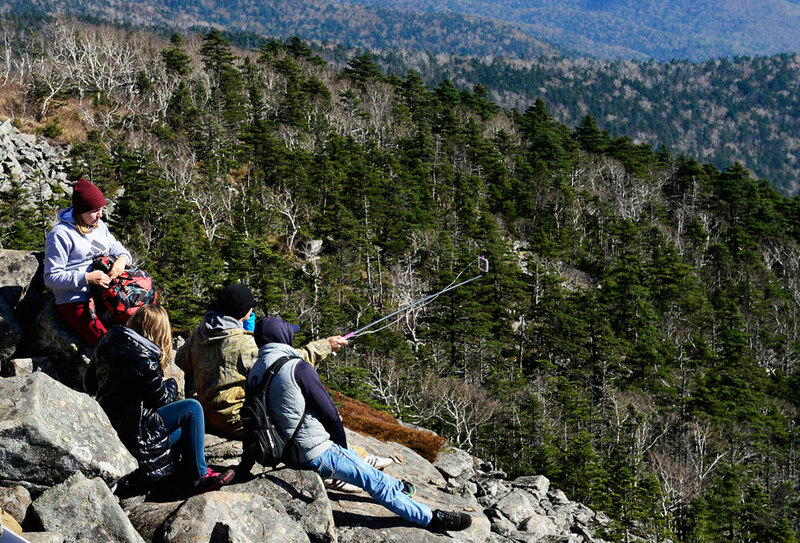 Tourists do self on a mountain in Livadia Shkotovsky area.